Hi there! It’s been a while…. …and I’ve been really, really busy! I started becoming much more active on Instagram since it’s pretty easy to use and update. In addition to being able to share my photos from my Flickr account directly into Instagram, I could also use my phone to snap pictures and share them whenever I feel like it. Especially since I have a decent camera and access to photo editing software on my phone! I’ve just updated the Events Calendar with some of this year’s gatherings. It used to be much easier to just follow events from my personal Facebook page and then export everything to an .ical file, but now I have to copy events from the Facebook events feed manually into the Corkscrew’d Calendar in order for the site’s calendar to update. At least now I’ll be a little more active on the Event’s Calendar! I’ve reapplied with the Western Automotive Journalists as an associate member! I did this last year in order to get press access to the Spring Classic at Mazda Raceway Laguna Seca. I’m hoping that I’ll get press access again for a lot more events this year! In February I attended the February 18th Orinda Cars and Coffee and shot some awesome pictures using one of the vintage lenses in my arsenal. I should probably see about getting that stuck aperture fixed at some point! On March 4th I attended the Season Premiere of Blackhawk Cars and Coffee and was blown away by the sheer number of people attending! I had a blast taking pictures of some of the most unique cars I have ever seen! On March 10th, I high-tailed it down to Laguna Seca to check out the Monterey Cars and Coffee happening right on the lake bed! It was something to be walking around and taking pictures of some cool machines while a practice session was happening at the same time! I’ll definitely be going back! This past Wednesday I attended the 26th Annual WAJ Media Days and even got my photos published! On top of that, I got several chances to ride in a car around the track! It was literally my first time out on the racetrack, so it is definitely something I’m not going to forget! 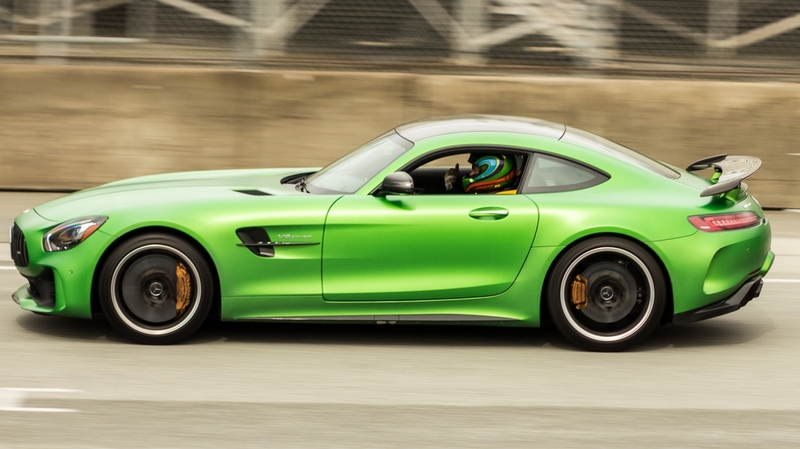 Especially considering that my first time out, I was riding in a Mercedes-Benz AMG GT-R! That’s about it for now. I’m planning on having a much busier season this year, so stay tuned for more of my adventures!